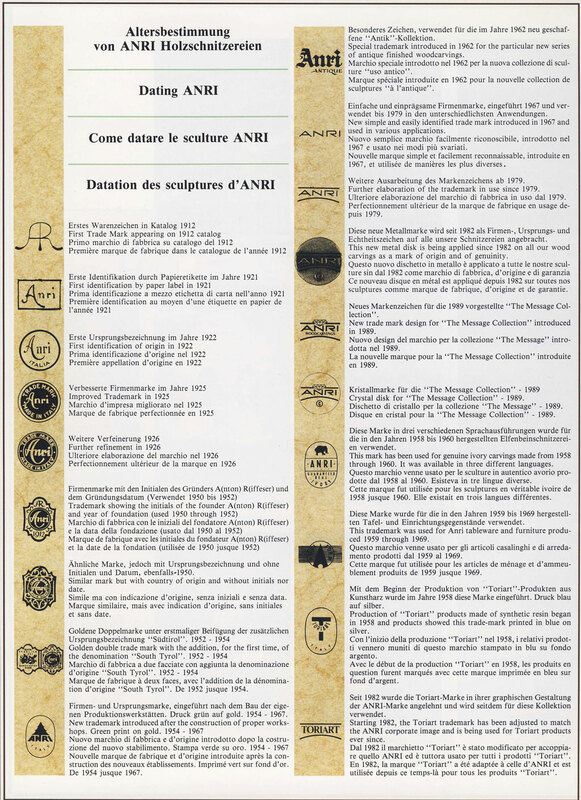 The ANRI Trade Marks have changed over the years, and you might use those provided on this page as an indication to date your own ANRI carvings. Please be advised, that there is no guarantee, that the label on your ANRI figurine is the original one, if that figure was purchased on the secondary market! 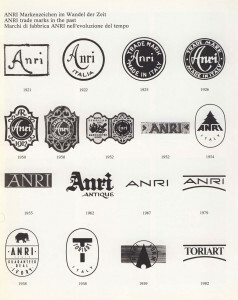 A huge percentage of the figures labeled “ANRI” on a well known auction website are everything but ANRI – although some even have an ANRI paper label on the bottom. 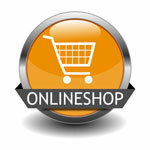 Click the button at the bottom of the page to browse and buy Original ANRI nativity figurines and collectibles in our online-store. 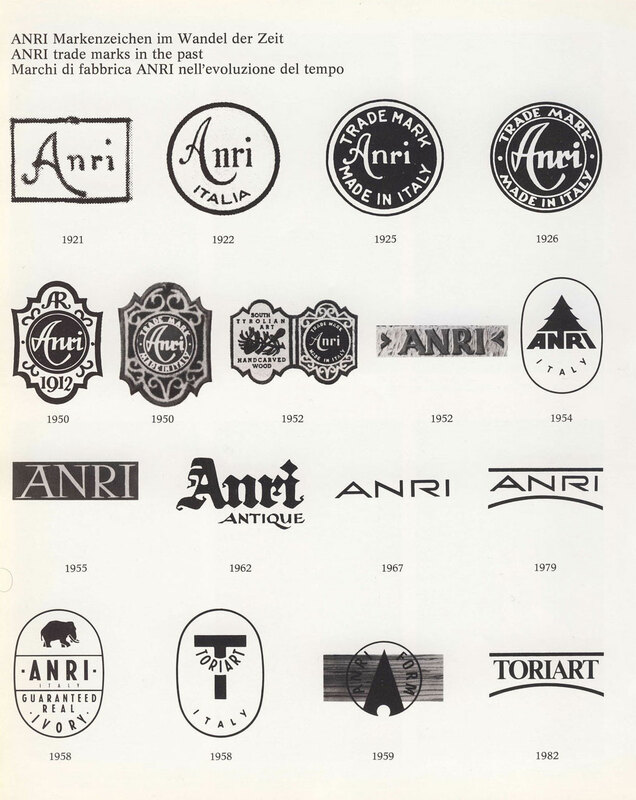 AS we do not deal with vintage Anris, I can’t tell you the value of your plates, but you might want to check the Anri ebay category for similar items. 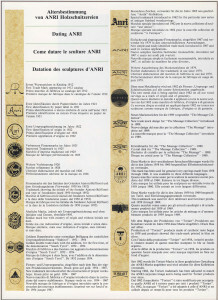 You might want to contact the ANRI company for those details, as it it from way before we started our business. My Anri music box has a mark of a tree with ANRI block letters under . Can you tell me the age of this piece. Has the pull out wooden stick to start and a young girl holding a picnic basket next to a bird house.